Last weekend we had a chance to spend some time with good friends and attend Dozer Days. This was our first time and it was a little boys (and big boys) playground! I had no idea how many people would attend and apparently in years past around 15,000 are in attendance - WOW! So what exactly IS Dozer Days? 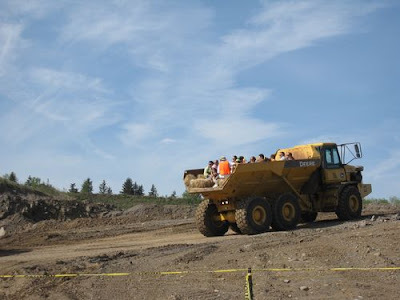 It is an event that is organized by the Nutter Foundation here in Vancouver, WA that allows young kids to run the big construction machinery, supervised of course. The money raised from the event goes to the local Parks Foundation and the children of our community. The best way we could describe it was a small scale Disneyland but the lines were for taking your turn at driving/running the equipment! 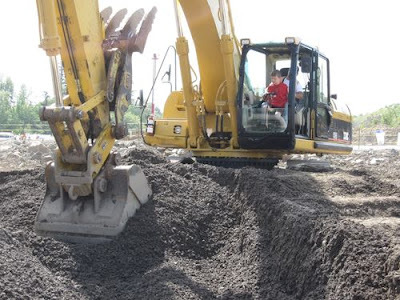 We loved seeing all the expressions on the kids faces while they were digging with these large backhoes - eyes as big as saucers and the concentration was intense. 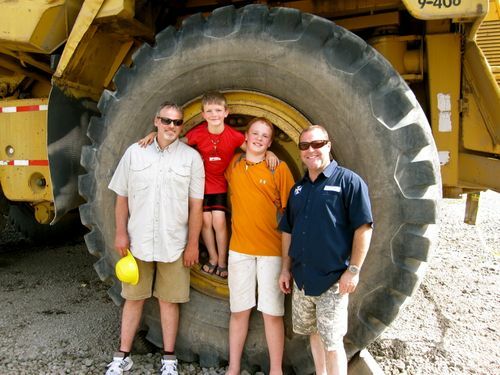 I think the boys' favorite part was riding in these huge dump trucks - I think they stayed on for at least four rounds. 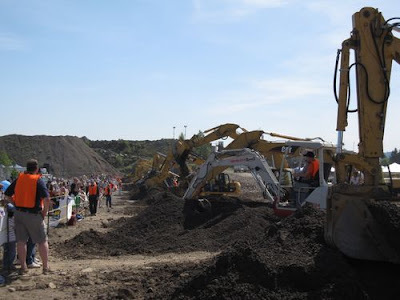 Definite kudos go to the Nutter Foundation and Cemex for organizing such a unique event for families and all the volunteers in the machinery!